Christian viewers of the Home & Garden Television (HGTV) are now up in arms after the network announced Wednesday that they have "decided not to move forward" with a reality show called "Flip It Forward" starring conservative Christian twin brothers David and Jason Benham who are openly opposed to abortion, homosexuality and no-fault divorce. 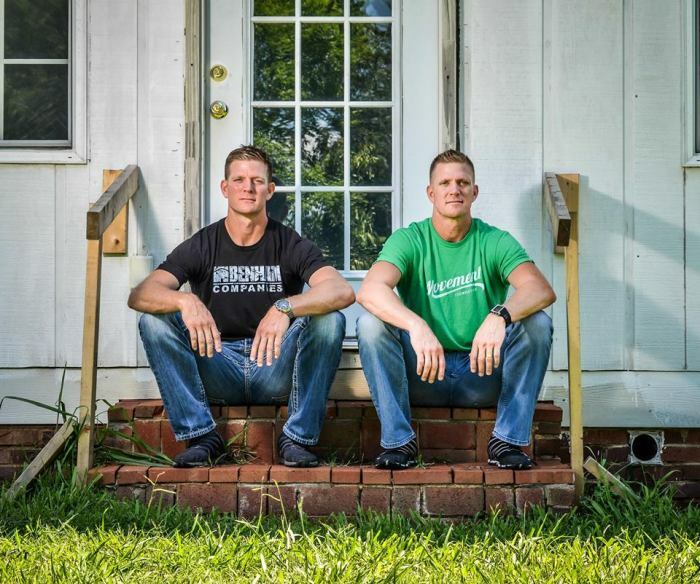 The episodes of the show were expected to reflect the brothers' experience in flipping houses for profit and helping other families do the same "with a healthy dose of sibling rivalry between the brothers along the way," according to MSNBC. In response to HGTV's decision, the Benham brothers said efforts seeking to paint their views as hateful are misinformed or untrue in a joint statement Thursday. "The first and last thought on our minds as we begin and end each day is; have we shined Christ's light today? Our faith is the fundamental calling in our lives, and the centerpiece of who we are. As Christians we are called to love our fellow man. Anyone who suggests that we hate homosexuals or people of other faiths is either misinformed or lying," said the brothers. "Over the last decade, we've sold thousands of homes with the guiding principle of producing value and breathing life into each family that has crossed our path, and we do not, nor will we ever discriminate against people who do not share our views," they explained. "We were saddened to hear HGTV's decision. With all of the grotesque things that can be seen and heard on television today you would think there would be room for two twin brothers who are faithful to our families, committed to biblical principles, and dedicated professionals. If our faith costs us a television show then so be it," they ended. Christian fans, however, have not taken HGTV's decision lightly. "Following the sudden cancellation of the upcoming HGTV series "Flip It Forward' simply because the stars of the show, brothers David and Jason Benham, hold a biblical worldview on the issues of life and marriage, Faith Driven Consumer is announcing a brand new grassroots campaign called #FlipThisDecision to return the show to the network's fall lineup," said the group in a release Thursday. "This is pure intolerance, discrimination, and bullying toward those who hold to widely held and legitimate views. HGTV's rash actions hold no place in America's rainbow of diversity," said Chris Stone, founder of Faith Driven Consumer and Certified Brand Strategist. "Whether people agree or disagree with the Beham's faith-driven perspective is beside the point; the Benhams have a right to have those views and to be treated equally with those who hold to other viewpoints. This is the very definition of tolerance," he said. As news spread of the decision Thursday, Christian viewers flocked to HGTV's Facebook page and peppered it with comments protesting the decision and threatening to boycott the network. "Not only will I boycott HGTV but I will boycott every sponsor until they drop HGTV. I will email or call each one. If Christians do not stand up to discrimination then those Christians are a BIG part of the problem," wrote Maryanne Linkes. "Very disappointed in HGTV for allowing all groups to be represented EXCEPT CHRISTIANS! You've lost a viewer because you're more concerned with being politically correct than actually helping people," said Terry Bruce Vogenthaler.